Congratulations on a great term everyone. The last day of term 2 is Friday 29th June. School returns for term 3 on Monday 16th July. 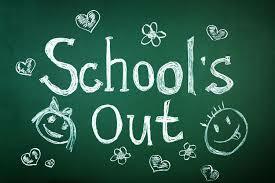 We wish you all a great break and we look forward to seeing you all in term 3.